Medipaw protective dog boot is a convenient way to keep bandages, casts, amputations & sutures dry and clean. The waterproof/breathable protective dog boot is a useful tool in following through on veterinary treatments. Drier bandages mean less chance of infection, fewer stinky bandages and reduced need for re-wraps. The boots are oversized to accommodate a bandage and splint. 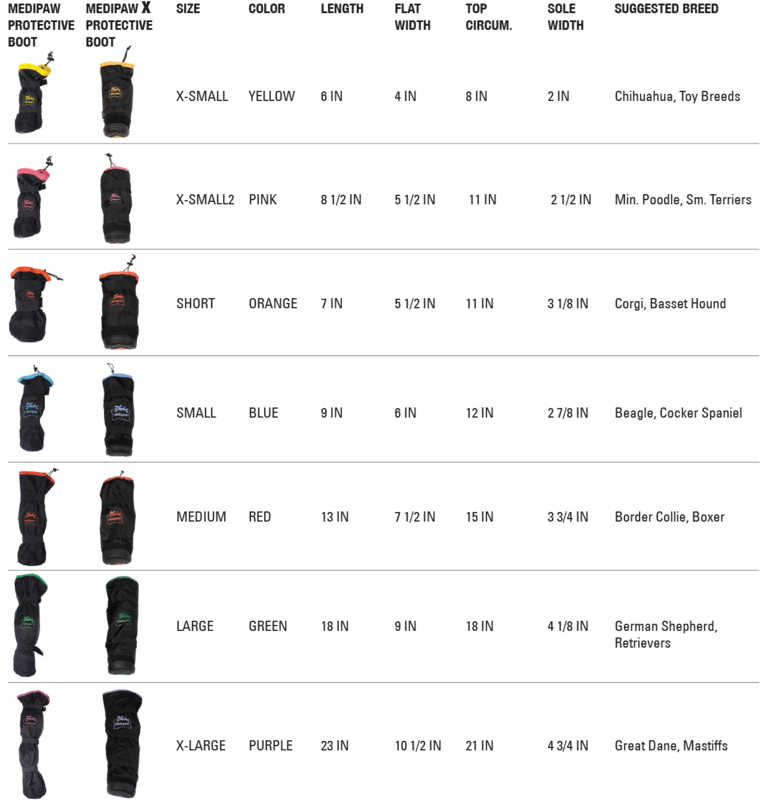 Available in 7 color-coded sizes (see the sizing chart for further details), they are made of a waterproof nylon shell, durable no-skid bottom, and elastic straps. The Medipaw® X offers all the same benefits as the medipaw® dog boot, with the added feature of the new rugged bottom making it extra durable.